After a prolonged period of non-art production, I’ve actually been fairly busy, comparatively speaking, since last December. 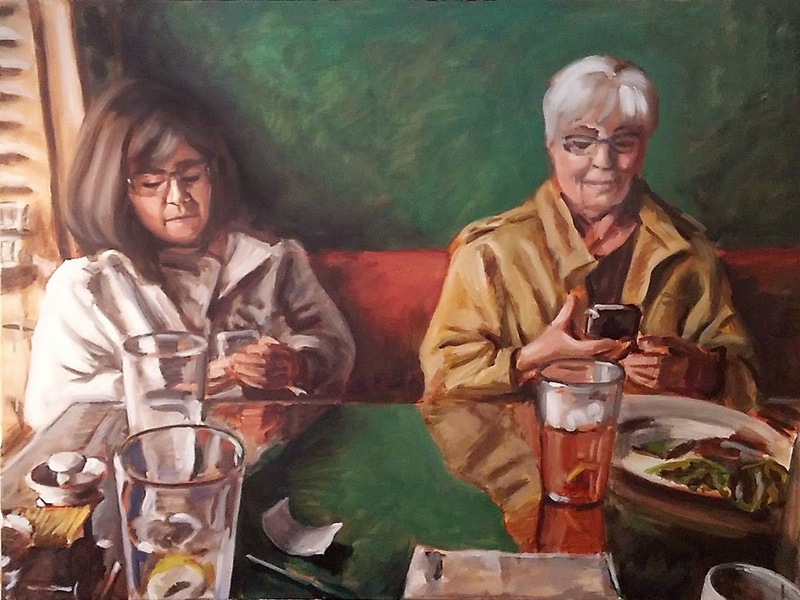 The other day I finished “Texting Women” (title subject to change), which I started not too long ago. Apologies for the awful photo; it was shot with my cell phone. Done in oils, finished size is 30 x 40. ← Coming soon (I hope) – prints!